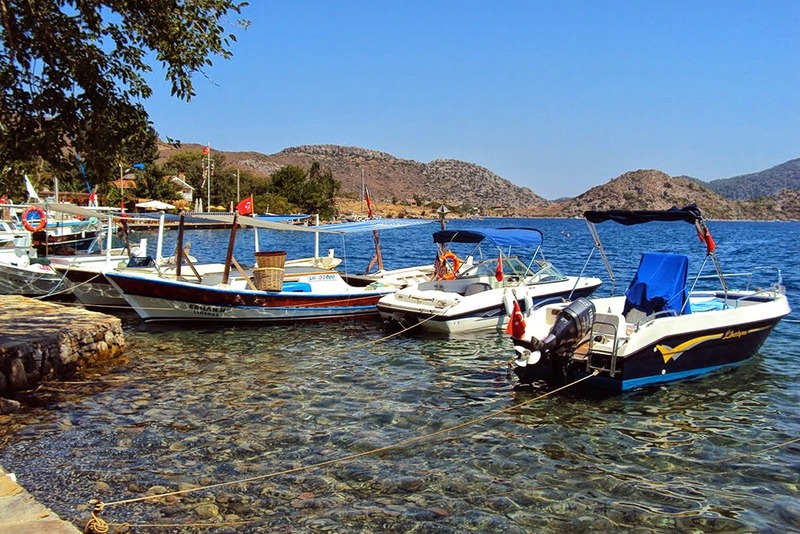 Selimiye is just 30 minutes away from Marmaris, and is the quieter of the tree bays. From rise up the sun to the evenings you can be spent your time in any one of the facilities or activities. There are wonderful natural beauties; boat trips to fantastic bays, or you can pick up a mini bus every two hours or any time by taxi which costs only 20 $ for more serious shopping or nightlife in to Marmaris. Selimiye is peaceful fishing village that seems to flow along a stunning bay, just along the coast from Turgutkoy and Orhaniye. It now has a new public quay and seaside boardwalk so it is a perfect place to have a walk and explore the many restaurants and quaint shops dotted around the village. Many of the restaurants have tables that overlook the bay so you can enjoy a delicious meal next to the crystal-clear blue waters, or explore the historical ruins of three castles from the ancient city of Hydas. The beautiful region around Selimiye is also renowned for its rich harvest of almonds and fragrant herbs such as oregano and sage, as well as its famous, delicious pine honey. Discover the old village jail that is now a ruin, built on a small island in the middle of the bay.